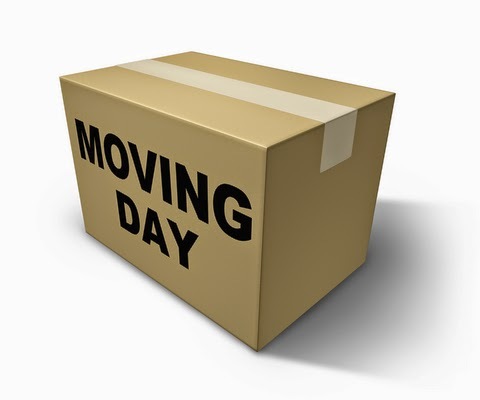 A lot of ministers in the UMC will be moving to new churches after this Sunday. I had my first ever mid-year move this past January, so I got a jump on the rest of you people who do it the normal way. This was my first move in the past 12 years into an existing church, and I had to relearn some things about being the new kid on the block. If you are moving to a new place, let me suggest giving these some thought. 1. Do a lot more listening than talking. Learn the story of the church and its people. Find out what their successes and struggles have been, both past and recent. Listen in between the lines for what they hope you will bring to the table, and what they are praying you do not do. If you listen, you will hear both. 2. Find a way to connect your story to theirs. While no one wants to hear what you did at "the last church I served where I set the world on fire because they listened to everything I said," they are interested in hearing about how your vision and heart syncs up with theirs. Find and highlight common ground. The bigger vision you end up casting will come in time. 3. Be genuinely interested in the people. If you don't, there is no way they will be interested in anything you have to say. Ask yourself, "When people leave a conversation with me, do they think I am really interesting, or do they think that I think they are really interesting?" Shoot for the latter. And if you want, pray for me. This one is my biggest struggle. If it's your struggle too, let me know and I will pray for you. 4. Help others to see you are not the sole source of all future vision, strategies and tactics. Again, ask a lot of questions and follow up questions. Despite your seminary training, other people might be smart too, and maybe even as smart as you. They may have ideas and know-how to get things done, so don't keep them on the bench and try to play the game alone. This is a team sport. In basketball terms, an assist is most often a lot smarter than taking a bad shot. Let them know early on that you have no interest in doing this alone. 5. Pray. A lot! Pray and let God lead you. One of the things I have to constantly remind myself of is that I cannot lead anyone if I am not being led by God. And somehow, God's leading always results in having me step up my service to those I am leading. So pray that God will show you the best way to serve the people with which you have been placed, and chances are, your leadership will take flight. May your move to a new place of ministry be a joy and one that inspires a renewed hope. May you begin this new journey with optimism, strength and courage. May you be welcomed with open arms by a congregation that greets you as family. And may you continue to grow and be led by the Holy Spirit as you proclaim and live out the Gospel of Jesus!